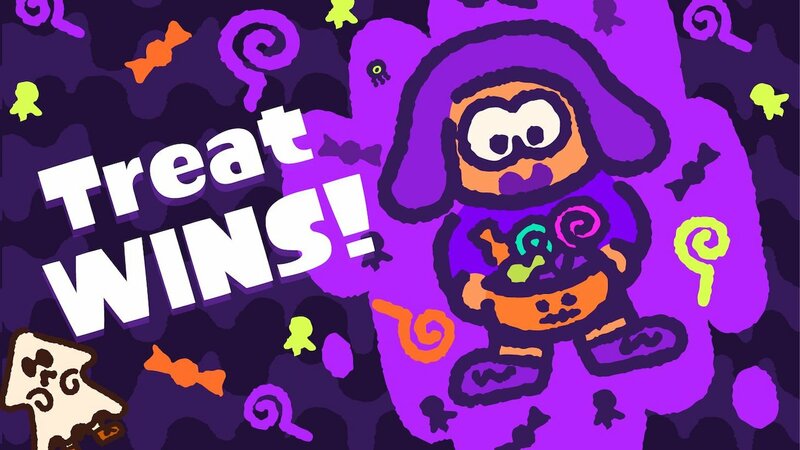 Nintendo has announced that Team Treat has won the special spooky Splatoween Splatfest that took place in Splatoon 2 over the weekend. The Splatoween Splatfest ran for a 48-hour period and saw Inkopolis Square decorated with spooky items, the battle stages sprayed with Halloween-themed graffiti and special gear added for free in the Nintendo Switch exclusive. While Team Trick was the more popular choice (56.85 percent), Team Treat narrowly won more matches in Normal (50.11 percent) and Pro (52.45 percent) categories to win the Splatfest two points to one. Pearl soon accused her of bribing Li’l Judd with candy, although Marina denied needing such cheap tricks to win. The results for this Splatfest were tallied up from the players that participated all around the world, their efforts to ink turf being combined to calculate the final scores. Splatoon 2 is now available exclusively for Nintendo Switch worldwide.